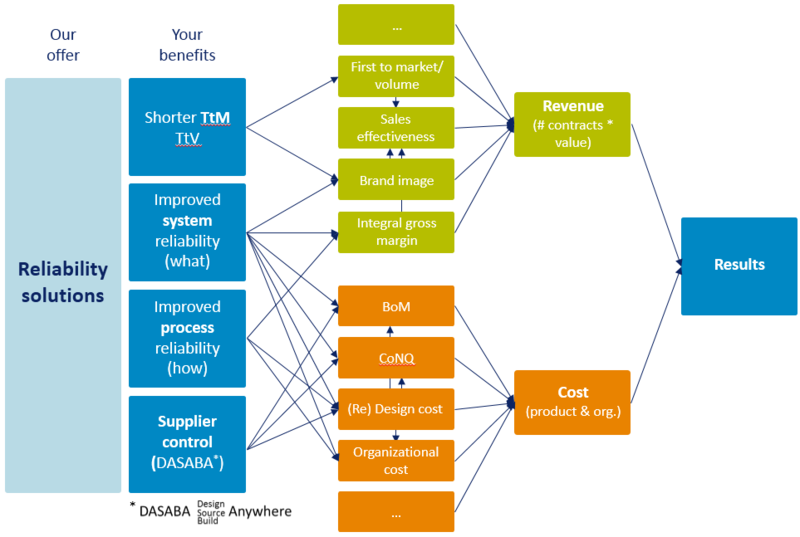 Reliability – or the lack thereof – is often associated with cost of non-quality (CoNQ). In our view, Reliability has a more profound impact on your business results than merely avoiding CoNQ! In the diagram, reading from right to left, one can see the driving factors for each of the elements in a box. 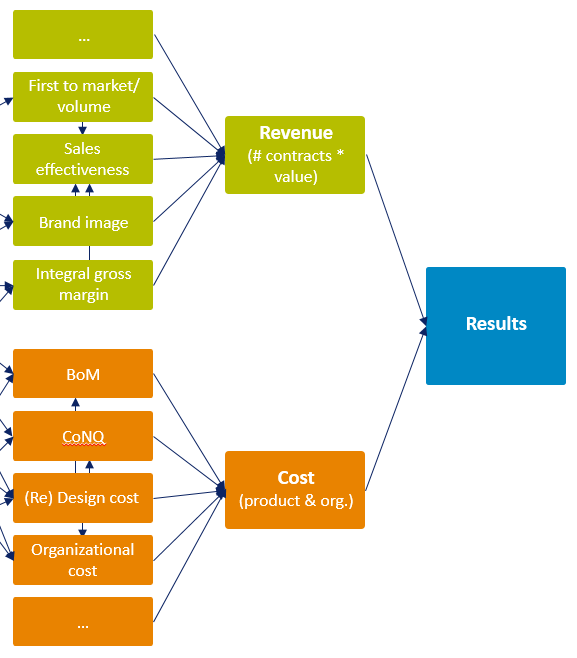 Starting on the right hand side, Results are driven by Revenue and by Cost. First to volume: the ability to bring an innovation to market in volume faster than one’s competitors. Sales Effectiveness: the ability of your sales force to sell a superior value proposition. Brand image: Premium brands create trust and have a positive influence on decision makers, especially for non-commodity products & services. Better integral margin gives a better competitive position during contract negotiations, hence driving revenues (in both contract number & value).